“Looks the part”: the kiss of (career) death? I read the news with two sets of eyes. First, the obvious search for what’s up. The other, assessing what current events mean for women. This past week, I read a phrase that hurled me back decades in my own career–“Looks the part”– a set of words that may seem like a compliment…or be used as a reason to hold women back. But when the language is associated with decisions regarding the highest offices in our land, I just had to write. Another week begins with the US president-elect hosting his ultimate episode of Celebrity Apprentice: D.C. – otherwise known as the selection of his cabinet. Each day, a parade of contenders arrives on the set of his shiny Trump Tower where an attractive hostess greets them at the revolving door, before rising to the upper floors for the casting session. Trump’s choices to date suggest a preference for billionaires and military leaders aligned with his wallet and world view. But now that secretary of state spot is up for grabs, the criterion is even more refined. Asked why former governor Mitt Romney was up for secretary of state, a top aide quotes Trump as saying Romney “looks the part”. True, Romney’s chiseled jaw, perfect posture and tailored suits telegraph suave confidence but is that why Trump might choose him to represent the US around the globe? Unlike Trump’s unconventional resume, Romney governed Massachusetts, was a powerful businessman who led Bain Capital, and managed the successful Olympic Games in Salt Lake City in 2002. On a personal note, he seems more even-tempered than his new commander-in-chief with the trigger-happy Twitter finger. But hey, Mitt’s got that handsome, ageing model thing going – so, he’s a shoo-in. In fact, he’s made the callback list with a dinner appointment Tuesday night. Are table manners under review? “Looks the part” (or worse, not looking the part) is language women know well, especially in the jobs market. I was floored. I felt like a doll. Was that the sum of all that hard work? Looks cut both ways. Women deemed too attractive risk being taken as a distraction or as unserious. Statistics show that job candidates who are deemed unattractive, or obese, are less likely to be hired, male or female, though women fare worse. Yes, but sadly more true than not. And it crushes blossoming careers, human potential and our very souls. Back to the cabinet: the focus on appearance makes me rethink about the rationale behind the other contenders. If Trump chooses Rudy Giuliani as secretary of state, is he leaning toward an ornery Rottweiler vibe? Or if he picks yet another General, do the uniform, crewcut and gold stars shout we may be on the warpath? Trump has had a bit of a looks fixation throughout his campaign. He mocked Marco Rubio’s height and tweeted that Chris Christie ought “to take it easy on the cheeseburgers”. Trump goes full throttle on females. He insulted opponent Carly Fiorina’s face, compared Ted Cruz’s wife unfavourably to his model spouse Melania and, among his many Hillary blows, said: “She doesn’t look presidential”. Perhaps it’s time for a look in the mirror? When Trump’s cast is vetted by the US Congress, the committee will assess experience, judgment, and records, not hairdos. Time to get looks off the table and face what truly matters. Last week as I was about to step out onto a narrow one-way Manhattan street, a 20something guy whizzed by on a skateboard. He was so fast and so close that his backdraft tousled my hair. He was going the wrong way and if I’d taken the natural (legal) step, I would have hit the sidewalk and broken God knows what because HE made the decision that he was in control of my safety. I resented that even more than his wrong way, juvenile behavior. Women don’t expect that every step will come easy. But we are justifiably angry when someone takes the choice or chance away from us—in our lives, our families and our careers. laying out the generations of misogyny in the industry. 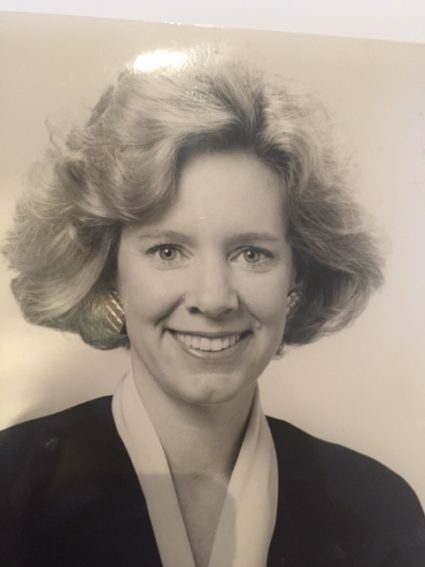 I would have thought that my mother’s experiences as a secretary in the real Mad Men 50s and mine as one of a handful of female agency CEO in the 90s were history by now. But not. When I was a VP at one agency, a client noticed my red suit. In front of his team, he asked, “Is your lingerie red too?” When I was interviewed for a Senior VP role at a large global agency, the COO asked, “How do I know you won’t get pregnant?” I managed to make it to the top while holding on to my woman-ness, getting along with the guys through results, persistence and a good sense of humor. Some women chose to keep a low profile or become one of guys. And some just left the business, as I eventually did. This article https://www.theguardian.com/media/2016/aug/07/mad-women-advertising-top-jobs?CMP=Share_iOSApp_Other tells the tale well but also reveals the problem. Only three women were quoted. Absent were current female CEO’s or creative directors. Why? Maybe the Guardian was on deadline. Or maybe the senior women would rather not risk seeming too much in the bag for “the cause” or break ranks with the status quo over somebody else’s problem. Most likely, they were too busy to talk which may be reason number one. What I found most unsettling was Roberts’ chummy contention that women opted out of the top jobs because they wanted a life. That’s actually true for some women and for many men. Fair enough. The travel, the hours, the punishing pressure would threaten anyone’s sanity. But Roberts glibly presented this as a closed case, true for all women and therefore the gender success inequity was inevitable. I would instead call it a ‘cold case’ that has been brewing in the bellies of agencies for decades, ignored as long as the leadership can get away with it. I believe there are thousands of women who would take the heat and discomfort of the top jobs on a dime in order to grow in their profession. It’s not a spot for the faint of heart but if you love what you do and can manage to find a life, as in any top job, you ought to be able to make the choice to do it. But skateboarding through the gender divide… cutting off their chance to decide? That’s not up to you, bro. It’s just not. Is it just me or does this 1994 picture… look like a Melanie Griffiths wannabe in the “Working Girl” movie? Puffy, overhighlighted hair. Requisite black suit. All that’s missing is the white socks and sneakers. I smile when I look at this, not because I see the unlined face and the hopeful eyes but because it makes me appreciate what so many women go through, working in their own way year after year. So much has changed; so much hasn’t. That’s why I decided to partner with my wonderful director, acting coach and co-writer @MarthaWollner to create a new one-woman play called “Work.” It’s my chance to untangle four career decades (yikes! ), unpack dozens of “Are you kidding me?” stories and answer today’s “Can I pick your brain?” queries. We are previewing the show for small groups to get it stage ready but what excites me most is how much the story reflects what I see happening now. A woman running for president up against a man who seems to be the one with the PMS! The amazing Sheryl Sandberg of “Lean In”fame who’s looking for ways to cope when life hands you Option B. And young women I meet who aren’t afraid to demand a life AND a career. As it should be. So I thought it might be time to write about this journey, just as “Work” will talk about it. As I say in the play, “When people say, ‘Oh, it’s just work, it’s not personal’, they’re wrong.” It IS personal to me. And maybe to you. Life. Work. Women. An eyes-wide-open look at our daily world of making a life, making a living, making a difference and hey, having a laugh. You in? Losing my parents was the heartbreak of my life. But I feel that they left me a gift, first in my mother’s God Boxes of notes but also in the grit and hope they instilled in me as a girl. I had always dreamed of a career in theater but instead poured my years into a business career. But after losing Mom and Dad, I decided I wanted to share their story, not only in my book but onstage. I started from scratch, at the bottom, at a sad point in my life. But their belief in me gave me courage. 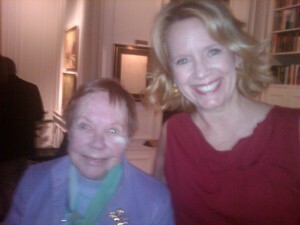 And my partnership with the amazing actor/playwright/director Martha Wollner gave me the skills. After many U.S. performances raising nearly $250,000 for charities, now the show is stepping up to a world stage. 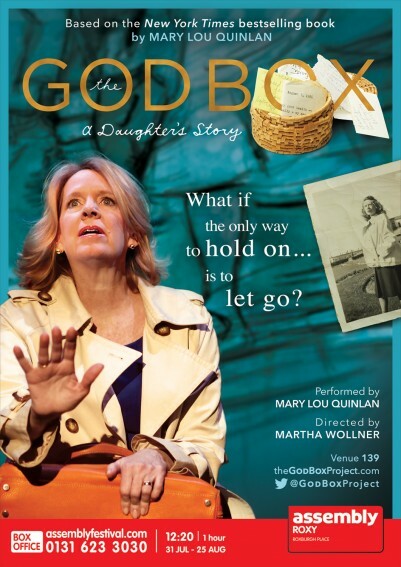 From July 31 to August 25, I will be performing ‘The God Box, A Daughter’s Story’ at the world-renowned Edinburgh Festival Fringe. It was an honor to be accepted by the famous Assembly Theater there. A new journey is beginning. But I’ll pack my bags with Mom and Dad’s love inside. Come along with me as I share the next few months of the dream of a lifetime. Welcome to Mary Lou Quinlan & Co! Nearly 13 years ago, I walked out of the corner office of a big ad agency and into the career—make that “careers”—of my dreams. I founded Just Ask a Woman with the goal of becoming the most compelling interpreter of women’s voices in the marketplace. For all those years, I worked with a wonderful team of women to make it happen. I never think small and maybe I got a bit carried away, but as I’ve often said, it’s your dream, make it big. From the get go, I hoped to build expertise in six different disciplines: consulting and strategy, speaking, TV, online communications, books and magazine writing. I used to call them my six flowerpots. I figured if I watered them with attention, talent and time, eventually they all would grow. Consulting took off like a shot, thanks to the unique assets of Just Ask a Woman, but eventually three books sprouted, along with dozens of magazine articles, blogs, and hundreds of speeches around the country and the world. Just Ask a Woman bloomed but we never lost that start up edge. Now I’m expanding in new creative ways with the upcoming launch of The God Box Project– my memoir of my mother, but also a one woman, one act play I’ve written and performed, a series of short films, a vibrant online community and soon, an app. Exploring the intimate relationship of mothers and daughters will likely be the most personal and revealing ‘market research’ I will ever do. So, with the God Box—and spring–it seemed the perfect time to present this new outgrowth of what we’ve done. Introducing Mary Lou Quinlan & Co which brings together the best of content and consulting, reflecting over a decade of listening to women…and to my heart. Over the coming months, you’ll learn about new services, new global partners, and new ventures. But one thing stays the same. It’s all about understanding women and letting their voices be heard. Join us as we give voice to what women really feel, believe and want.